We want every step of your renting experience, from searching for a property to getting your deposit back, to be as enjoyable and straightforward as possible. It matters to us that you feel confident in the quality of your home and the support you will receive if you have a problem. "Come highly recommended. They manage a number of properties for me and are very attentive to the needs of my tenants and attend each request from my tenants immediately. 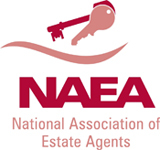 It gives me peace of mind knowing that I have left my properties in such competent hands."